The demand for digital content on the Web is increasing. While the World Wide Web provides excellent opportunities to share information, every member of the HSSU campus community must clearly understand that there are inherent risks associated with posting and consuming content that contains copyright protections. The following information is to help members of our academic community to better understand how the University’s IT Services can assist with making safe decisions about posting and consuming digital content from the World Wide Web. IT Services’ intention is to facilitate the proper and legal use of digital content that is dispersed from and consumed on campus. Read and understand the HSSU Acceptable Use Policy (AUP). A link to the AUP can be found on the bottom of HSSU Web pages. The policy provides clear instructions and recommendations for the appropriate use of the HSSU network and associated services. Read and understand the HSSU Network Security Policy (NSP). A link to the NSP can be found on the bottom of HSSU Web pages. The policy provides information about how HSSU enforces the NSP and AUP, describes the method for reporting infractions of the NSP and AUP and outlines some of the sanctions, which can be levied against individuals who violate the NSP and AUP. Understand that the absence of a copyright marker or copyright statements does not mean that digital material is free to use. Assume all materials are copyrighted, regardless of whether the material is explicitly marked with a copyright notice. Do not link to sites which may violate copyright laws. Understand that “Fair Use” does not mean “Free Use.” Often individuals feel that protections which make it legal to reproduce digital content in an academic environment will ensure protection from lawsuits. Complaints and lawsuits can arise even if “Fair Use” is properly invoked. Risk is dramatically reduced by obtaining written permission from the content owner. Permission may or may not contain provisions for how/when/where material is reproduced and or distributed. Understand that “Fair Use” does not mean that an individual in an academic environment can recopy and redistribute copyrighted materials in any manner the individual sees fit. Understand that the HSSU Department of IT Services does not make the decision on whether content is legal or not legal to post. The HSSU Department of IT Services will consider posting material where risk of copyright infringement is dramatically reduced (generally in situations where written permission has been obtained from the content owner). 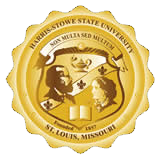 In situations where the permission is ambiguous, the HSSU Department of IT Services will not post copyrighted material. The HSSU Department of IT Services will not seek permission to obtain and reproduce copyrighted content on behalf faculty, students and staff. We will only review permissions to determine if posting is recommended. Understand that the HSSU Department of IT Services will deny requests to assist with the reproduction, distribution and access of copyright-protected materials on the institution’s network when the content owner’s permission is not clear and verified as authentic. Understand that the HSSU Department of IT Services will cooperate with authorities legitimately investigating copyright infringements on campus. The HSSU Department of IT Services does its best to operate within the guidelines of the copyright and DMCA laws while still providing excellent instructional services to faculty and students. The laws continue to change, and low-risk activities from the past may become high-risk activities in the future. The point is to minimize risk associated with reproducing, disseminating and consuming digital content on the HSSU network and its computing resources. The way that instructors can quickly reduce risk associated with distributing copyrighted material for academic purposes is to simply get unambiguous permission from the content owner to use the material. Tell the owner who you are, what you want to reproduce, how much of it you want to reproduce, how and when you want to distribute the material and who your audience will be. If you cannot obtain permission to use digital content in the way you hoped, we suggest asking the content owner how you can use the material safely.